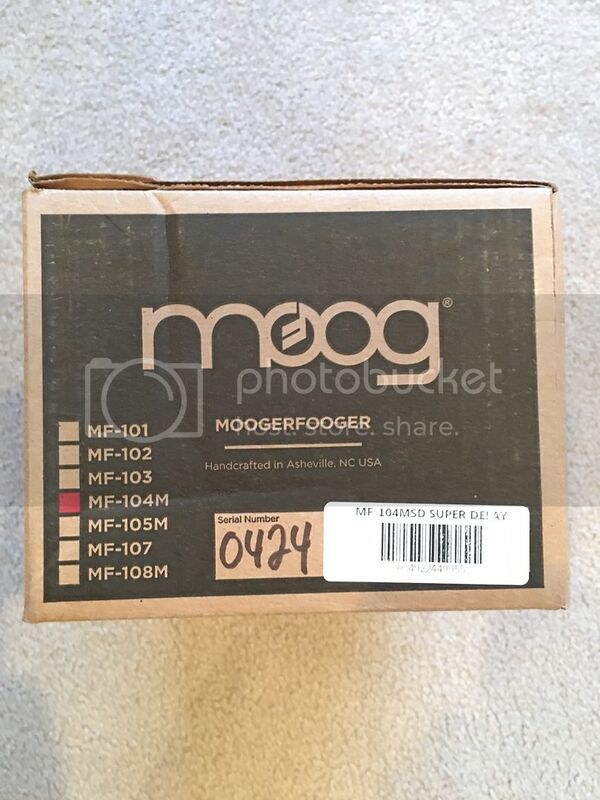 Sold Moog MF-104MSD Super Delay - Mint Condition - Price Drop! Discussion in 'Pedal Effects Gear Emporium Archive' started by mgrier1, Dec 6, 2016. Bought Brand New earlier this year from authorized dealer for my studio, but never used. Brand New condition with all original packaging, power supply, and manual. 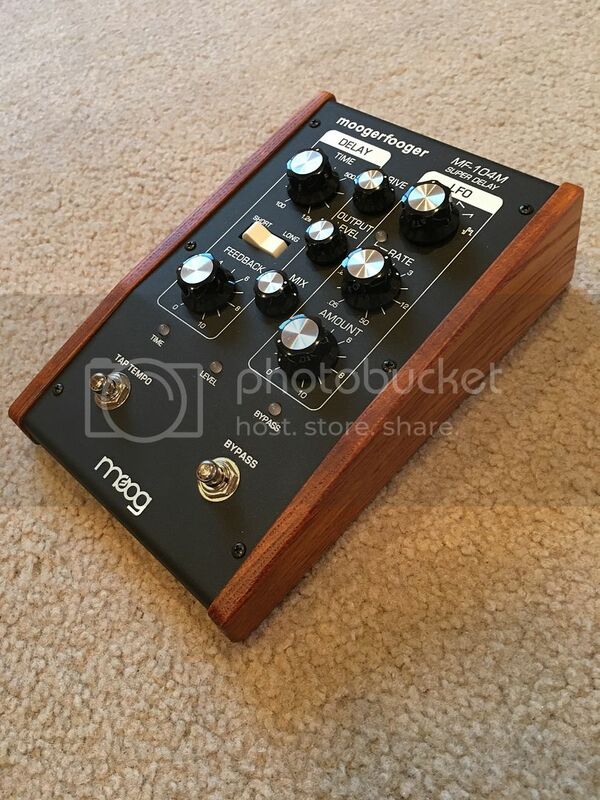 - 560 limited masterpiece from Moog. - More darker & warmer than MF-104M. - Mint condition like brand-new products. Bucket Brigade chips. The power supply, bias, and rail generating circuitry have all been improved for greater sound quality and reduced microphonics, and an Emphasis/De-Emphasis circuit has been added for reduced noise. Additionally, the delay-loop level matching circuitry from the 500 Series analog delay has been included for maximized feedback and mix stability. 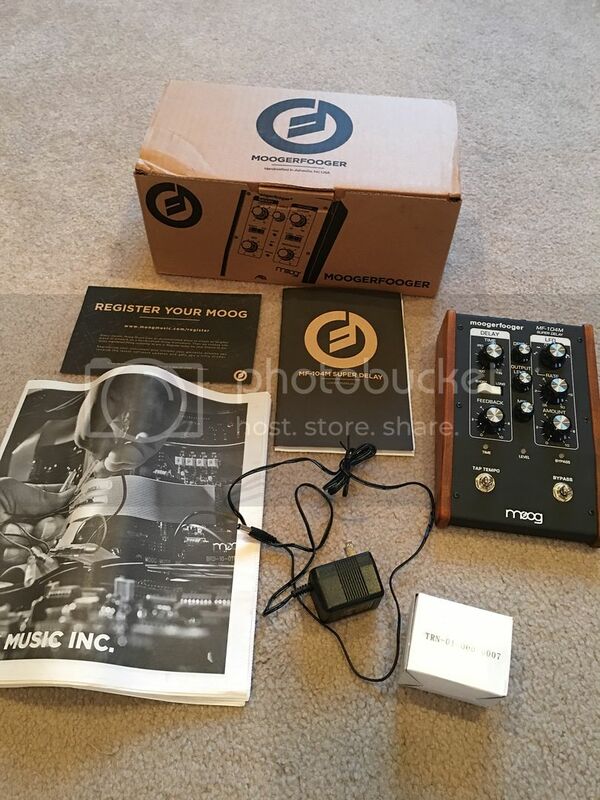 “In 2005, we released the MF-104SD, of which only 250 units were ever produced,” said Cyril Lance, Moog Music Chief Engineer. “The new MF-104M Super Delay utilizes the identical vintage Bucket Brigade chips found in the classic MF-104SD, faithfully delivering a vintage grittiness that's extremely musical,“ said Lance. The MF-104M Super Delay includes all of the features found in the MF-104M analog delay, including MIDI control of every feature on and under the hood, a 6 Waveshape LFO, tap tempo of delay time and LFO rate, spillover mode, and the traditional short/long delay switch for bright, articulate 50ms-600ms trails, and dark, mysterious 100ms-1200ms trails. 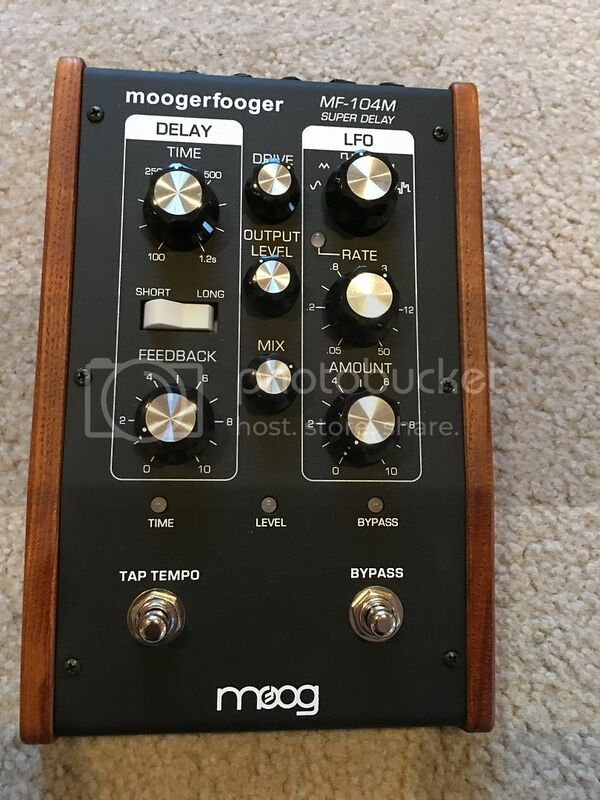 Like all Moogerfoogers, the MF-104M Super Delay is housed in a rugged steel chassis with wood sides and utilizes CV/Expression inputs for external control of Time, Rate, Feedback, Amount, and Mix parameters. A delay feedback Insert is also available for adding external effects to the delay line.